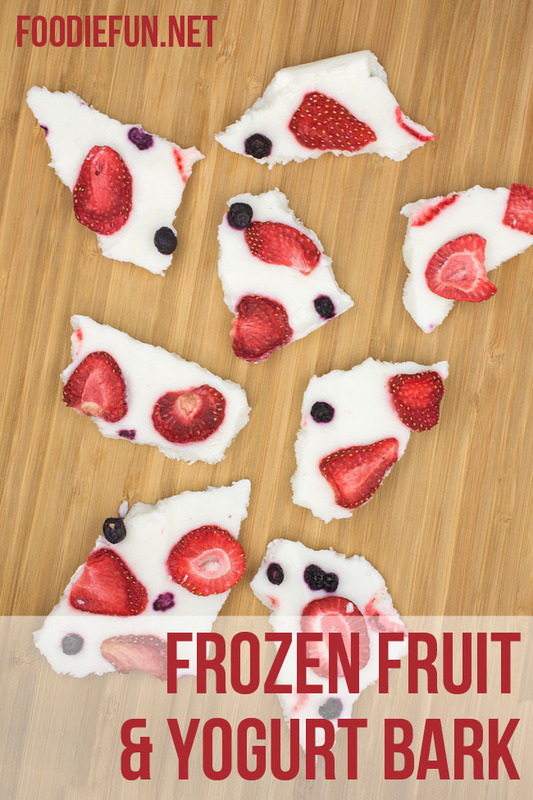 Frozen Fruit Bark is one our favorite healthy snacks for kids. 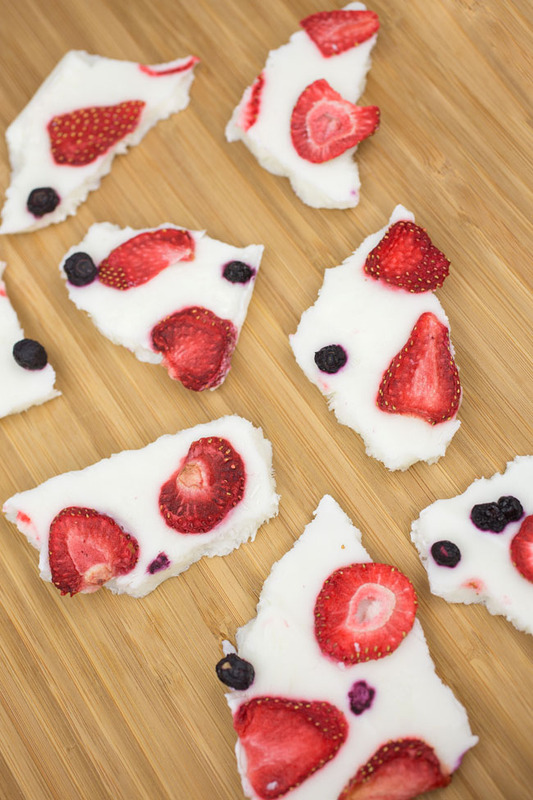 We keep a batch in the freezer for times when you need something quick, easy, and yummy. 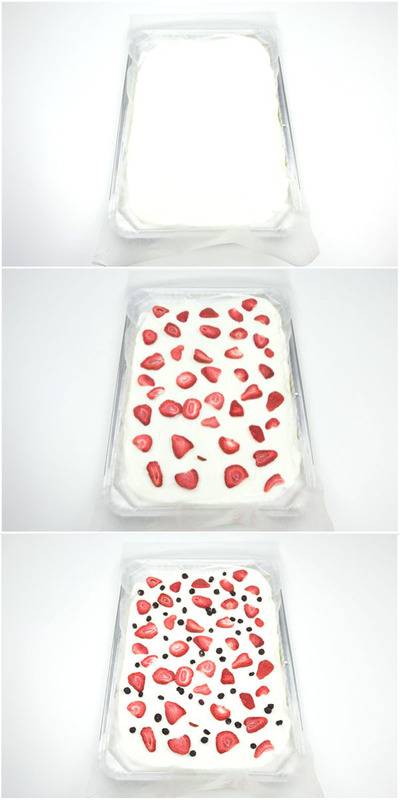 Spread a thin layer of vanilla yogurt onto the wax paper. 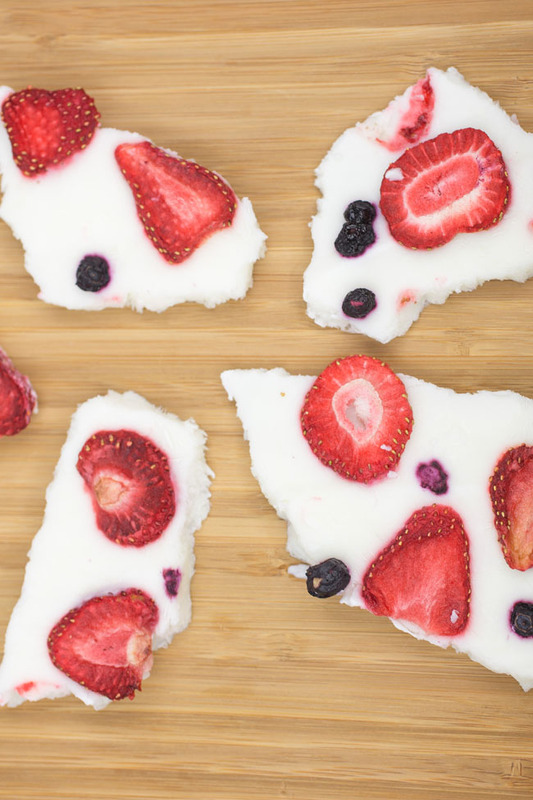 Sprinkle with strawberries and blueberries. 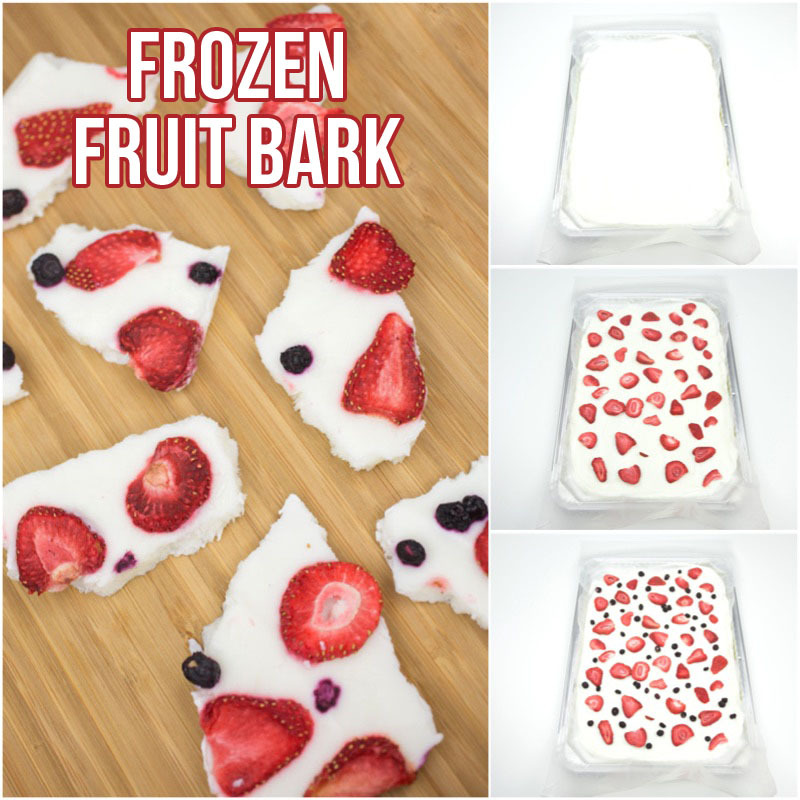 You don’t have to use the freeze dried versions, but it helps keep the moisture out of the bark to achieve a better texture.